Katie Spencer, P.T., D.P.T., O.C.S. Katie Spencer is a board-certified orthopedic physical therapist who treats a variety of conditions, including athletic-related injuries, restoration of function after surgery and regaining activity level for patients of all ages. Her love for soccer and distance running along with her pursuit to become an Adirondack 46er has created a passion for helping athletes and others achieve their personal health goals. She has even created a course on yoga-based treatments for people with orthopedic injuries. Katie attended the University at Buffalo where she studied Exercise Science as an undergraduate and earned her degree in Doctor of Physical Therapy from the School of Public Health and Health Professions in 2012. She spent her first four years as a PT working in New York City. 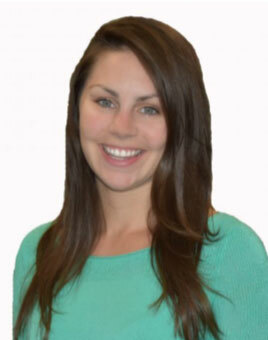 In addition to her work at Dee PT, Katie works with the University of Vermont’s Doctor of Physical Therapy Program as Dee Physical Therapy’s Center Coordinator for Clinical Education and contributes articles on exercise for the local newspaper. Throughout treatments, she believes in educating patients so that they are fully able to understand the recovery process and how to prevent re-injury. Katie likes to use her positive attitude to motivate patients and create customized treatments based on each patient’s interests and optimal functional level. The goal is always to return the patient to a new functional level that exceeds the level prior to injury. Her interests outside physical therapy include running, spending time outdoors, and traveling.